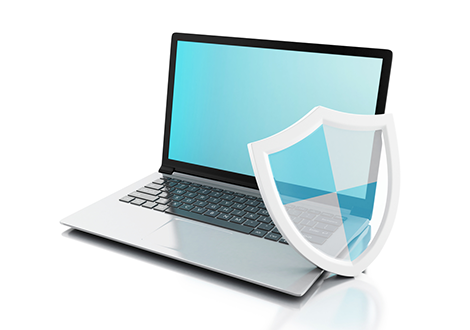 Antivirus Software for PC | Why are they needed for devices? Antivirus Software For PC In 2018? Times have changed. So has the computer virus. These days, it takes the shape of different types of malware. And not to forget the zero-day threat. Therefore, at times like these, it is only natural for PC users to start doubting the efficiency of the good old antivirus software. So, in this blog post, we try to answer the question: do users really need antivirus software for PC in 2018? Viruses Are No Longer The Only Threat: Antivirus software has evolved over the years. Today, they not only protect PC(s) from antivirus but from the entire gamut of malware – trojans, worms, ransomware etc., - and, sometimes even against zero-day threats as well. Therefore antivirus is something which every PC should contain, if it is to be safeguarded against various security threats. Windows Inbuilt Protection Is Not Enough: Over the years, Windows has come up with its own security applications. Its latest version – Windows 10 – contains two critical applications – Windows Firewall and Windows Defender – for securing the operating system. Despite all this, security tests – conducted by security experts – have proved that Windows still remains vulnerable. In other words, antivirus is still needed in order to protect Windows. There's No Such Thing As Too Much Protection: This goes without saying. Because we are living in an age where it's raining cybersecurity threats. And there little chance your PC can escape everyone of them – unless you're equipped with the right set of security tools which includes antivirus as well. Then There's Zero Day Threats: Probably the biggest danger our PC(s) face are zero-day threats. In other words, security vulnerabilities which haven't been discovered yet and therefore no solution or remedy exists. Although antivirus(es) do not have much chance against these zero day threats, they can at least offer some resistance – crucial time during which some other security tool can do the job for you. Multi-layers of protection for your PC is not a bad option. Because chances are all of these layers might get defeated by the modern-day malware. But in case, you can't afford such a multi-layered protection, then at least ensure you equip your PC with the good old antivirus. Though it might be old, it has evolved, and can now defend your PC not just against malware but against zero-day threats too. Comodo Antivirus, which comes equipped with impressive security features, is easily one of the best antivirus packages in the IT security industry. Security features like Containment, HIPS (Host Intrusion Prevention System), Viruscope amongst others, ensures your PC(s) stay protected not just against different types of malware threats but against zero-day threats as well.